Tony Stewart’s ambitious 2017 sprint car racing schedule may be modified after only a handful of races. Stewart participated in last week’s Arctic Cat All Star Circuit of Champions races at Bubba Raceway Park in Ocala, Fla. 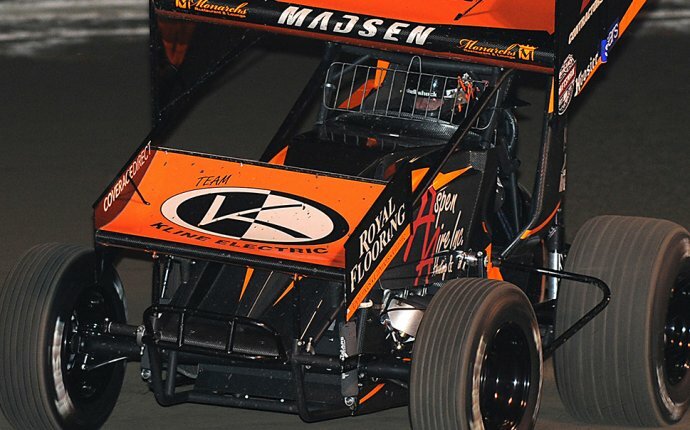 The series is owned by Stewart and he did not fare well in his time behind the wheel, finishing a disappointing 17th and 21st in two main events. "Tony Stewart has scratched for the evening (Saturday night) and is reconsidering his schedule with the All Star Circuit of Champions due to his ownership of the series. Requirements of owning and managing the series supersede his own driving ambitions. We apologize for the change in tonight's schedule and appreciate everyone's understanding." It remains to be seen if Stewart will now change his schedule this year and avoid running the All Star circuit due to the demands of running the series. He is slated to run several other sprint car races that are either open competition or otherwise sanctioned throughout the course of 2017. Charlotte Motor Speedway promised an All-Star Race announcement last Friday, which raised speculation that this year’s format may be announced. It turned out to be the news that country music star Justin Wilson would headline a pre-race concert on Saturday, May 20. It will be interesting to see what track officials do with this year’s race in light of the new stage format being incorporated across all three of NASCAR’s top divisions. Since every race is now broken into stages, what will make the All-Star Race – which has used that format for years – different? There has been conversation about utilizing the track’s road course, a discussion that generated some heat a few weeks ago when AJ Allmendinger tested there. However, not everyone believes the concept of racing stock cars on Charlotte’s infield road course is a wise move. "I don’t know how it would work, but our road courses work well, " Kurt Busch told Motorsport.com. "They sell out, and fans are excited to see our big, heavy stock cars in the 'combat zone, ' so to speak. If the oval in Charlotte with that road course works out, it’s going to be a tough sell. But it’s a good little stunt." Veteran Morgan Shepherd is not through with his racing career even as he tries to outrace "Father Time." The 74-year-old Shepherd will attempt to qualify for the season-opening Power Shares QQQ 300 XFINITY Series race. Shepherd has made 976 starts in the top three divisions of NASCAR and plans to continue racing beyond Daytona if everything falls into place for his small race team. NASCAR Hall of Famer Mark Martin will get a chance to race again this summer when he returns to his roots and climbs into a late model stock car. Martin will make the trip to Canada’s Riverside Speedway and race in the July 15 IWK 250. "I've heard nothing but good things from my NASCAR buddies about the race, the competition and the fans, " Martin said. "It's always fun to get back to your roots. My career began at local short tracks and I got the opportunity to go to so many great speedways. I can't wait to check this one out along with the competition and the fans."